Thanks for a great 2015 everyone! A lot of work from a group of dedicated volunteers goes in to making the online Global Math Department presentations and newsletters. Thanks to all of the following people for serving as a host or booker for each week’s talks, helping to organize a tweetup or as a newsetter writer or editor. Thanks for making 2015 a great year, and here’s to making 2016 the best ever! Shira Helft and Rick Barlow’s talk ‘Math Fights and Middle Bits’ was the most viewed talk of 2015, thanks in part to a plug on Dan Meyer’s blog. This is just one of the reasons why talks in May and June were the some of the most viewed talks of the year. And for a preview of next week’s talk ‘PCMI: The Experience’, try to work through problems 2-8 of this problem set. Don’t forget to read the directions! Copyright © 2015 Global Math Department, All rights reserved. 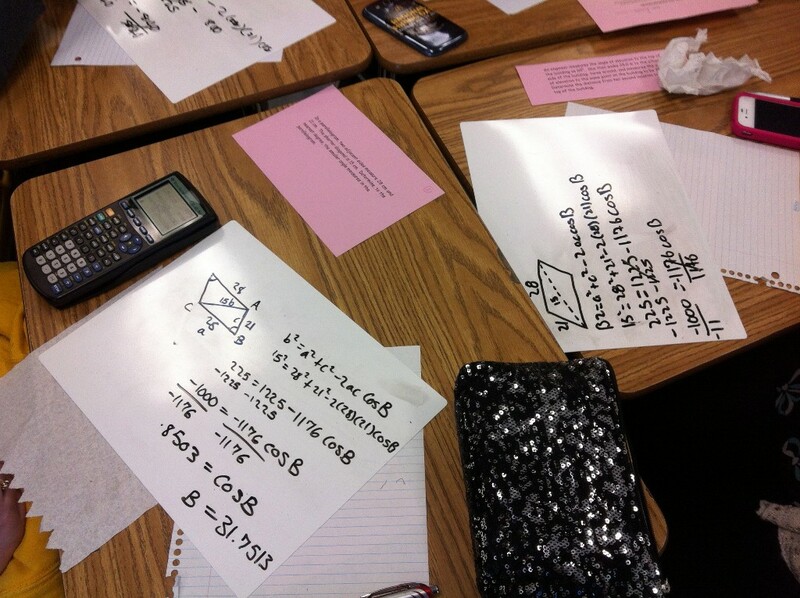 What Does Formative Assessment Look Like in Math Class? Students and teachers need feedback from each other in order to meet curricular standards. Join John Scammell (@thescamdog) to look at ways of embedding feedback into math lessons and what to do with that feedback. Last week at Global Math Geoff Krall presented on teacher learning through student work analysis. Whenever I write for GMD, I try to do so from a middle school perspective. This week, the elementary teacher in me screamed at The Progression of Multiplication written by @gfletchy. Not only does it give a quick but powerful view of multiplication from 2nd to 5th grade for elementary teachers, but I feel it will be as equally helpful to my middle school friends. 6th grade teachers need to know from where students’ understanding comes. 6th and 7th grade teachers alike will find a method for simplifying and factoring expressions within the strategies discussed within 3rd and 4th grades. 8th and 9th grade teachers can glean ideas for teaching the multiplication of binomials and polynomials from a conceptual perspective. So much to learn here. It’s the most wonderful time of the year – or at least the most wonderful time to be a math teacher. There are some really smart people out there creating truly great tools for math teachers. The tools I’m writing about this week came to us from Desmos and GeoGebra. This week, Christmas came early, thanks to Desmos. They released their new delight, their new game-changer, and it was literally a delightful game called Marbleslides. It’s easy to deploy to your students, it’s easy for them to jump right into it, it’s addictive, and it’s chock full of math goodness. It’s as if a really cool video game married the Desmos activity builder. You can read about it here, or you can just search #marbleslides on Twitter. Or just sign up at teacher.desmos.com, and play it yourself! A couple of weeks ago, GeoGebra released their newest feature – GeoGebra Groups. As if GeoGebra hadn’t already transformed my life enough, they’ve now made it really easy to combine many media, like for example a GeoGebra or a video, with a task, send it to all your students with one click, see their work, and have a discussion about it with them all in the same space. You can read more about it here. All my students are now signed up, and I can’t wait to use it in the New Year. This week Joe Schwartz (@JSchwartz10A) shared the story of Alex, a 1st grader who is having some issues with counting. Is Alex counting 14 or 100 dogs? He thinks it’s both! Read Joe’s excellent blog post to hear more of Alex’s story. Oh, and this is one time where you totally should check out the comments. No, seriously! 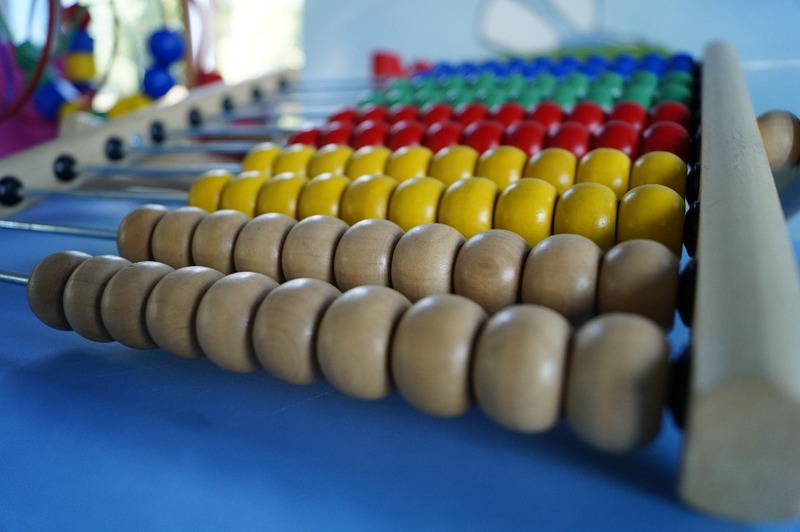 Counting is something we might take for granted as adults, but it’s quite the complex and multi-faceted skill for young children to grapple with. The #MTBoS community came out in force to offer their thoughts and support. Check out Joe’s post and the fantastic conversation in the comments at his blog. 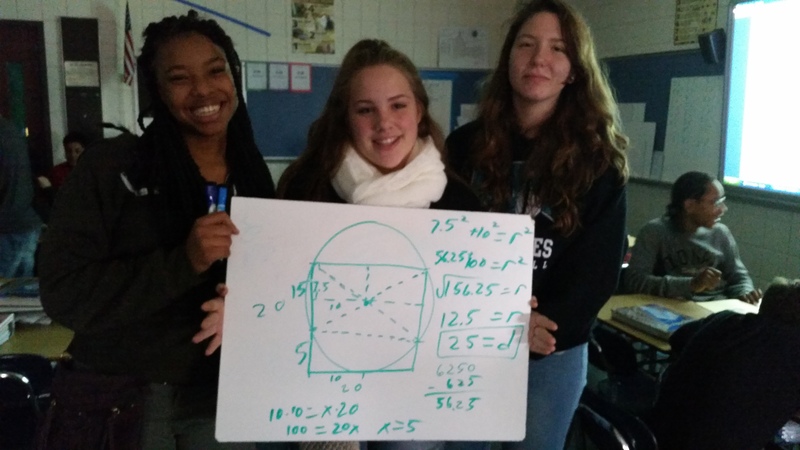 Global Math Department Needs Your Help! The Global Math Department is looking for individuals who are interested in planning the Tuesday night webinars hosted on Big Marker. GMD bookers contact potential speakers regarding speaking opportunities, and provide them with details on planning sessions. 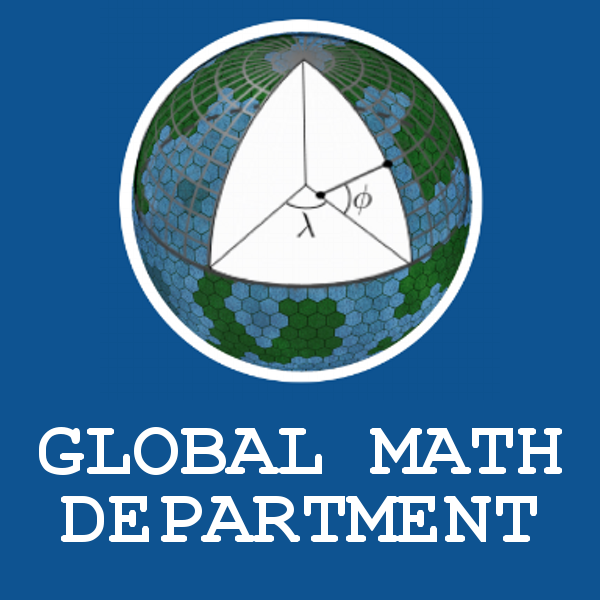 If you are interested in being more involved with the Global Math Department, contact Heather at heather.m.kohn@gmail.com or Dylan at dkane47@gmail.com. Hour of Code, ESSA news, and more! How do we develop sustained growth in teacher practice in a department? One way is to design a system of teacher learning based on student artifacts. Join Geoff Krall (@emergentmath) as he shares experiences and models of student work analysis that lead to better instructional choices and departmental coherence. The conference starts at 9pm Eastern/6pm Pacific. Click here to join! Last week, Dylan Kane, Jessica Bogie, and Lisa Henry presented on Twitter Math Camp: History and 2016 Preview. Whether you’re interested in making the trip to Minnesota, or just want to learn more about Twitter Math Camp, check out the recording here if you missed the presentation. The Hour of Math…wait, Code! The Hour of Code! Last week was marked on the educational calendar as computer science week. If you are not hip to coding in the classroom please go now to code.org, but then come back! Now that you’re an expert at coding in the classroom you may be wondering, “What if I don’t have 30 devices for each student to become the next Mark Zuckerberg?” Well, they’ve thought of that too. Thinkersmith in partnership with code.org has devises a litany of “unplugged” coding activities for the device-less to also become programming wizards. Also Brian Aspinall has posted numerous activities to his blog about “unplugged” coding, here and here. Luckily for us coding shouldn’t just be limited to just one week during the school year. Code.org has a beyond the hour of code, which consists of courses and activities meant for what they refer to as ages 8-108. For you geometry teachers, code.org also has something called Artist, where students explore geometry through coding. His post shares a glimpse of why he’s excited to mentor other teachers and how his collaboration with other teachers has benefited his students and teaching. Whether you’re looking for a New Year’s resolution or a way to deposit some good karma coins in your math teacher bank, join this initiative as a mentor or someone to be mentored. Why say no, when it will feel so good to say yes? 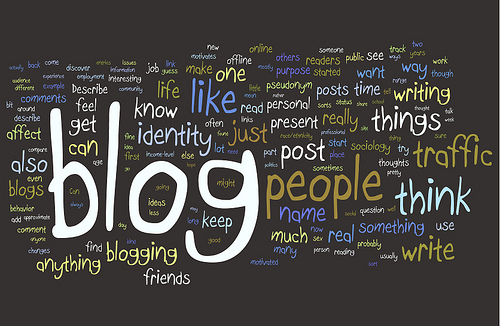 Exploring the MathTwitterBlogosphere. One place to start is over at NCTM where Diane Briars posted on the signing. This article sticks to the positive and gets into an overview of the act and the bits that NCTM supported. This is definitely not the whole picture, so let’s dig deeper. The official site for ESSA is here and it has fact sheets, the actual text if you feel like some policy reading, and quotes from remarks made about the act. The folks over at The Atlantic seem lukewarm about the act, noting “in reality, schools may not see much on-the-ground change”. Lastly, this article from the Washington Post on ‘The disturbing provisions about teacher preparation in No Child Left Behind rewrite‘ hit my Facebook page and email several times and is an interesting look from a professor at the University of Washington at bits of ESSA not about student testing. Hopefully these will get you started and give you some things to think about and chat with others about. What better time to talk about #TMC16, than the middle of December? This week, Dylan Kane, Jessica Bogie, and Lisa Henry begin talking about the summer in Twitter Math Camp: History and 2016 Preview. Whether you’re interested in making the trip to Minnesota, or just want to learn more about Twitter Math Camp, Join us tonight at 9 EST here. If you want to speak at TMC or want more information click here. There’s been a lot of chatter and blogging about the great things that went on at the NCTM Regional Conference in Nashville; if you, like me, were not fortunate enough to attend, you might have been feeling somewhat bereft as you read through events you might have missed. But if you read through Kate Nowak’spresentation, “Plan a Killer Lesson Today”, you may become (as I did ) pretty jazzed by the simplicity and brilliance of her ideas. Kate’s blog, f(t), has some wonderful posts about taking procedural lessons and turning them into puzzles for students to solve, and the slides from her NCTM talk break down and clarify that process. It’s a great resource, and I personally want to thank Kate for sharing her blueprint. Beth Ferguson over at Algebra’s Friend wrote about another way to make the requisite practice of a skill (polynomial long and synthetic division) engaging using a game. The title “25 Tips to Deal with Digital Distractions” caught my eye when the Teach Thought post popped up in my Feedly list. Great, I thought – they’ll tell me how to deal with the plague of notifications that cause students to stare at their laps during my scintillating lessons. But, as it turns out, the list is just as much for keeping me focused as those I teach. Updated from a post 3 years ago to keep up with technological changes, there are specific useful strategies for minimizing the sidetracking effect of your device when needed. The Food for Thought Department: When I need to call my class back from their group discussions, I frequently call out, “Mathematicians!” I’ve always told my students that this is what they are for the duration of their stay in my classroom, and I get a charge every time it gets their attention, because for at least a moment, they are taking themselves that seriously. But do I take myself that seriously? Andrew Stadel pondered this question in his post, “Are You a Mathematician?” It’s not only worth a read, but also a laminated print-out. And finally, Glenn Waddell challenged us high school teachers to better engage our students In “HS Teachers, up your game”. Glenn posits that students may be checking out in high school not because they don’t understand, but because we are not connecting ideas in the higher mathematics they are know studying with things they have already been taught, and adding developmentally appropriate depth to their prior knowledge. The Common Core standards have introduced a lot of rich content in earlier grades; we are beginning to teach high school students who have encountered this content when younger. It’s not just a matter of transitioning our curriculum any more; we’ve got to examine at what level we need to meet our students. Like I said, food for thought. The proliferation of Number Talks in elementary schools across North America is astonishing. As teachers scramble to learn and implement Number Talks, GMD’s Brian Bushart threw down a Number Talk PL gauntlet that shouldn’t go unrecognized. Whether you’re a savvy veteran of Number Talks or just diving in, you’ll walk away smarter than when you woke up. You could take Brian’s post and immediately turn around and implement it at you own school. Kudos to Brian and thanks for making us all a little smarter. Last week Pierre Trancemontagn unveiled another beauty of a crowdsourcing website that supports the power of the #MTBoS and the work of effective Number Talks. Number Talk Images is sure to follow the success of Which One Doesn’t Belong. So check it out, fire up your camera, and spread the love. And last but not least, Christy Sutton recently shared Always, Sometimes, Never questions her blog for k-5 folks. K-2 teachers are screaming for more #MTBoS-like resources that support the lower grades and Christy delivered. When you stop by…tell her thanks. Students work in groups to find numbers in consecutive order, highlighting them in different colors. Students are timed with the goal being to get to the highest number possible. Time is set aside for multiple rounds so that groups attempt to reach a higher number each round than the previous round. While students are working, she takes pictures and shares them with her students after the activity, many of whom are so focused they didn’t even realize their photo was being taken! The following day students work in groups to practice great group work! Check out Sara’s blog for details as well as Megan Schmidt’s (@Veganmathbeagle) adaptation of the activity in her latest blog post. And do it! Tools for Customization: What Does Customized Learning Look Like? Join Joshua Schmidt for an honest look into his current customized mathematics learning environment that he has developed over the past six years. His goal has been to create an environment that provides authentic choices, independent pacing, and learning at the students’ appropriate level. This work has come with many successes and challenges. He will give insights into his classroom environment and his choice of technologies. Since customized learning takes on a variety of shapes, he wants to provide not only a better understanding of customization but also ideas that you can put into practice in your own classroom. Don’t worry! You didn’t miss Global Math last week. We took a week off for the Thanksgiving holiday. Don’t go yet! We have great things to share. One of the wonderful things about being a part of #mtbos is the opportunities to glean ideas and information from others. This time, @lisabej_manitou post of notes and scattered thoughts from a recent brain based teaching and learning conference enlightened me. In Notes and Scattered Thoughts from Learning & the Brain Conference, Lisa shares information about the correlation between stress and learning, building student resilience, tackling anxiety and educating the heart. Equally important, Lisa’s post discussed building resilience and two key statements stuck out to me. Build resilience by allowing time for information to stabilize and take root. How often do we spend two days on a concept and move forward to the next before students have time to digest the new material? They are left in a state of confusion trying to make connections between the multiple concepts which can lead to anxiety. 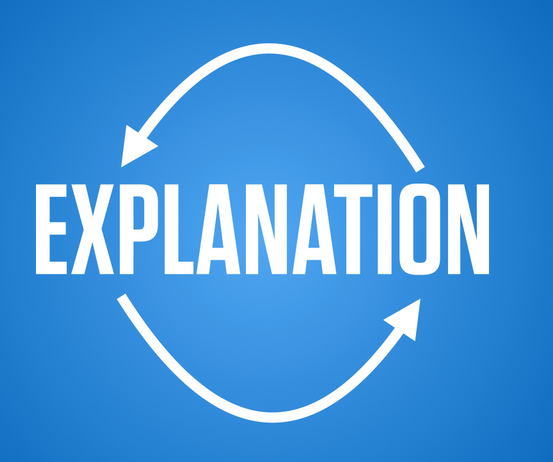 How many times do we show students a procedure or process and in the end, it is only us who has the understanding of the concept? 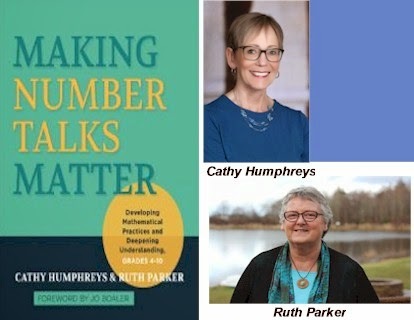 Building resilience screams SMP 1, SMP 2 and SMP 3, which makes yet another argument of why the Standards for Mathematical Practice should be in the forefront of your teaching. Lisa Bejarano’s post has stoked a fire I’ve had burning inside me for a while. Perfect timing as I’m heading back to school after a week’s break. I’m going in armed with strategies and information which will help me meet the needs of the students I will encounter. What’s Your Elevator Pitch to the Federal Government? It’s not often that you get a politician genuinely asking “What should we be doing?” So what’s your elevator pitch to the federal government? What should the US Congress (or any country’s legislature) do to improve teaching and learning in our schools? Join the conversation on Twitter. The thread starts here. I’ve been writing a lot lately about Desmos and the activity builder, and some folks have been under the impression that I have therefore lost my love for GeoGebra. As if! As I sit at this desk, I have a digital pile of gorgeous student-created GeoGebras to give feedback on, so believe me, I’m still a GeoGeholic. This week I’m writing about some great GeoGebra posts I found using #ggbchat. Here’s one by Neil Dickson (@GeoGebrain) about using it to introduce trigonometry. I particularly loved how Neil combined the hi-tech with those old trig tables. Jenny Krzystowczyk’s post (@jennyktechin) is about combining Google drive with GeoGebra to create an isosceles triangle lesson that engaged her students. The post that keeps pinging in my brain, however, is this one by Daniel Pearcy (@DanielPearcy) about the need to talk about good pedagogy when we talk about GGB, or any edtech tool. He includes a link to a series of videos on that subject, based on his own presentation. I’m currently working my way through them, looking forward especially to “GeoGebra Pedagogy Part 5: Student-Centred Tasks”. And I love that he made these videos for people who couldn’t be there in person!